BUY BACK PROMOTION...FOR A LIMITED TIME ONLY! 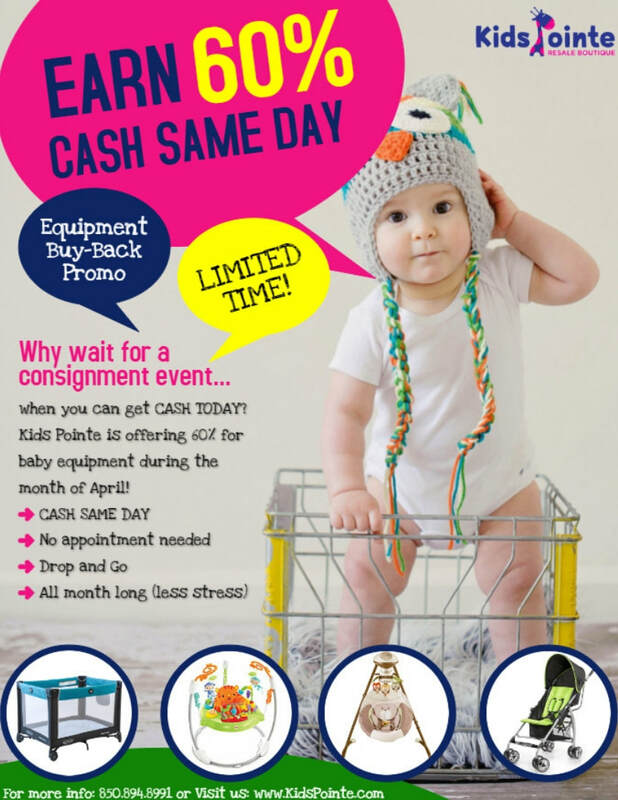 Do you want more for your baby gear and equipment?? During the whole month of April Kids Pointe will be paying 60% for your baby equipment!! Why sell to Kids Pointe?? - We are buying all month long! Give us a call @ 850-894-8991 for more information!